HIGHLIGHTS OF OUR EXPERIENCE AND EXPERTISE, WE ARE COMMITTED TO OUR CUSTOMERS ON COMMON VALUES THROUGH THE CREATION OF OUR OWN BRANDS : SELECTION, LOCAL, TASTE, QUALITY AND FOOD SAFETY ARE THE CENTER OF THE REQUIREMENT SPECIFICATIONS OF MARCELLETTE BRANDS, AND MIA MARCELLINE. MARCELLETTE is a premium brand of high quality mainly dedicated to French products. Our 50 years of experience led us to find the best territories of our regions. Concerned about the taste and requirements of our customers, our product engineers select the best producers of each area according to cultural practices and diverse products. Main port of banana’s shipping from the French Antilles and Africa, we established an activity of fruit’s ripening in Rouen since our creation in 1964. Strengthened by 50 years of experience, we have a perfect control of the best process for banana ripening and maturing. Over the years we have identified the best banana producers and the best banana’s varieties. MIA is a brand <strong>mainly </strong>dedicated to banana products. The soils where bananas are grown are conducive to other fruit crops, we are developing and marketing other products requiring refining techniques. These fruits are from <strong>the Caribbean, Central America and South America. Requiring the tropical flavors : M.I.A. 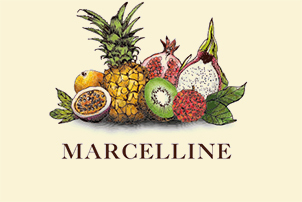 MARCELLINEis a high-end premium brand, primarily dedicated to French products from overseas and from the “ACP” countries whom have negotiated agreements with the French overseas territories. Importer since 1828 , our story allows us to have a perfect control of the overseas territories. In a matter of fact our approach is the same as MARCELLETTE namely the identification of the best soils and the best producers from these distant lands. We guarantee the organoleptic qualities of our product and provide cultural practices. 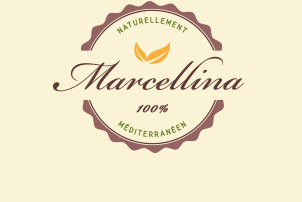 MARCELLINA is a premium brand with an high-end quality gustatory from Mediterranean products. Our position with the two main fruit ports on the Atlantic coast ( Bordeaux, Rouen) has allowed us to work with major operators of North Africa, Southern Italy , Portugal and Spain. We took avantage of this experience to provide the origins of the best soils by selecting the best producers with the same leitmotiv as our original brand: MARCELLETTE.